Merry Christmas from the Millennial Homemakers! This year, we’re celebrating by bringing you the Twelve Days of Christmas. 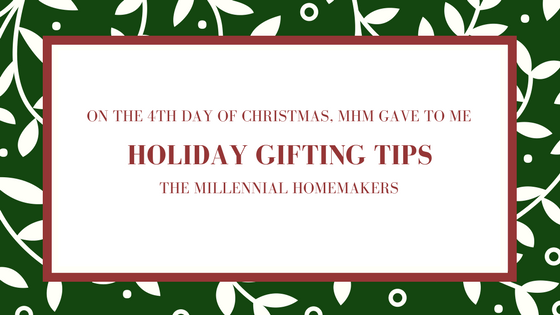 On the fourth day of Christmas, the Millennial Homemakers give to you - gifting tips and ideas! Whether you're shopping for a friend, co-worker, or hostess, we have the perfect gift idea for you!